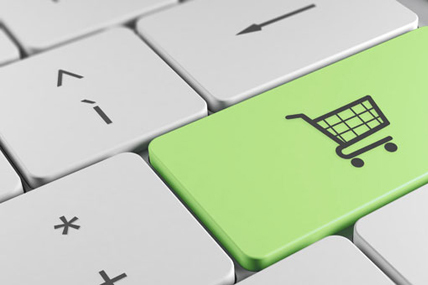 A report published today by Kantar Worldpanel reveals the true potential for the worldwide FMCG e-commerce market. “Accelerating the growth of e-commerce. 2015 Edition” forecasts FMCG online sales will hit $130 billion by the end of 2025. Online’s share of FMCG purchasing in advanced e-commerce markets will double in the next 10 years and Kantar Worldpanel estimates online purchasing will reach 30% in South Korea, 15% in China and 10% in the UK and France. FMCG ecommerce grew at a faster pace in Asia with China being the fastest growing market (+34%) followed by South Korea (+22%). In Europe the FMCG ecommerce grew 20% in the UK and 12% in France. South Korea continues to be the country where FMCG online sales are higher reaching 13.2% of the total FMCG market (compared to 10.2% one year ago). Huge promise: With only 1 in 4 shoppers buying online on a global level, there is enormous headroom for growth. South Korea is a great example of e-commerce potential becoming reality: 58.9% of South Korean households buy FMCG products online at least once a year. In the UK, France and Spain, nearly one out of 4 households buy online but the UK supermarkets are trailblazing in building repetition. Valuable shopper profile: the typical profile is a family with young children, urban-suburban, middle/upper class. An average online shopper in the UK spends 66 USD per trip online compared to the 16 USD spent per trip in a brick and mortar store, four times more. Loyalty: the online share of wallet is already high. In China, online shoppers spend more for buying diapers (+34% ),infant milk powder (+21%) and pet food (+19%). Jason Yu, General Manager of Kantar Worldpanel China, comments: “The e-commerce channel is providing FMCG players with genuine growth opportunity at a time when overall market demand weakened in recent years. Our research shows that consumers in China, motivated by product choices, convenience and price, are increasingly embracing the channel for their everyday grocery. The appeal is widening, as e-commerce retailers rapidly expand their presence deeper into lower tier cities. With more investments into distribution network and cold chain delivery as well as the promotion of cross-border e-commerce by the government, the growth look set to continue well into the 2020s.